So, you want to find a good job. The job of your dreams, actually. But there’s a small problem: you need a resume that will impress your potential boss and make them want you as an employee. Resume writing is not difficult. We all know many tricks to writing a resume worth checking and reading. 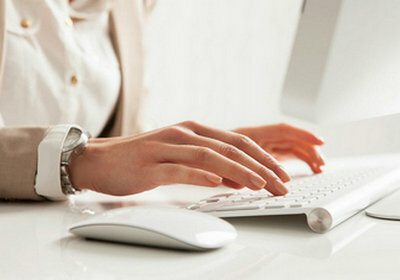 Many blogs and websites share the secrets of building a good resume. HR managers are happy to share various tricks on resume writing and teach you some hooks for making your resume look professional. But none of them works when you haven’t got anything to put on your resume! How could you come to be in this situation? Are you a graduate with no on-the-job experience yet? Are you a worker without an official job? Is your job experience not professional enough to share when you write a resume? Your professional experience doesn’t fit a job position you apply for, does it? Do you consider your achievements unworthy to mention in your resume? Sometimes you can find up to 10 common resume problems, but no question mentioned above can be considered a reason to feel defeated and put an end to your new career before you start. Because you always have something to put on your resume and make it work. Check these out! 1. Pay attention to structure. HR managers need less than 30 seconds to take a look at your resume and decide whether it is worth further reading. That’s why structure plays a quite important role here: your task is to write a resume that will be clear and easy to read. Your structure should not be distracting. You should combine neat intervals with flat margins, and do not neglect paragraphs. If you need a printed version of your resume, print it with the help of the best laser printer you can find, so your text will look more presentable. Make your resume readable, and do not forget to proofread it. Don’t trust spell-checkers: as we all know, they can miss even the most obvious spelling mistakes. 2. Put on more information about your education. When graduates start their job searches, they usually have a lack of experience to put on their resumes. So, if you don’t have enough practice, your task is to persuade a recruiter that you know enough theory. Mention all courses you’ve finished during your years at university. You can also write the topic of your last thesis or dissertation, and do not forget to mention any languages you speak. 3. Remember that you do have work experience, even when you think you don’t. If you still don’t have any professional experience, it doesn’t mean you do not have any work experience at all. When you write a resume, mention all probation or manufacturing practices (if you had them); don’t forget about volunteer programs you participated in, part-time jobs you probably had (even if you worked as a waiter for example), and your organized social activity during your college life. This information will tell a recruiter many more facts about you than you think. It may show your leadership or organizational skills, and tell about your character and the talents you have. Great references can really help you when you are a young specialist and you do not have enough experience yet. Keep in mind that your former bosses are not the only ones who can give you a reference: it can be your college professor, a leader of your volunteer organization, or a manager of some projects you took part in as a freelancer. Don’t forget about the Internet, either. Your references do not necessarily have to be printed and signed: some positive comments on LinkedIn or other professional and authoritative networks can help you greatly with your job search. 5. Mention all your achievements. You shouldn’t be too arrogant or boastful when you write a resume, but this doesn’t mean you should hide information about your achievements and positive traits. Mention that you have a driving license for example, write about your readiness to learn something new and improve your skills, hint about your leadership qualities and ability to find an approach to different people. What traits do you have that could help you in your career? Are you communicative, open minded, stress resistant, ready for constant deadlines? Put them on your resume when you build it. 6. Use lists to write a resume. Write a resume as a list. You can use such a format to mention your educational courses, your achievements, traits, and expectations from the job you apply for. First of all, it will be much easier for a recruiter to read this type of resume and quickly pick out the information they need. And such a trick will help your resume look very informative and solid when you don’t have many hard facts to mention there. 7. Write a resume for every job opportunity. Anyway, you’ve got the point, haven’t you? Each vacancy has particular requirements, and there is no need to send them a resume with information they do not require. HR managers are busy people, and they will hardly want to read about how good you are if you don’t have anything in your resume that would fit their expectations. 8. Don’t make your resume too long. Make sure your resume is no longer than one side of an A4 page: that’s enough to mention all the important and essential information about your education, experience and other achievements. And it will be more comfortable for a recruiter to read it and see everything they need in order to understand whether or not you are a good candidate for them. Use short phrases, and remember that if you use some specific terms, make sure that non-specialists will understand them as well. Do not use abbreviations. Big chances are, HR managers will not know the meaning of them all. Do not boast: be restrained, talking truthfully about your achievements. Be accurate: avoid general phrases. Use exact names and titles. Do not use too many different images, graphics, tables, frames, etc. Your resume should be clear and simple. If you have such an opportunity, create a portfolio and make it work for you.